Curtis Jones, member of Die Innenstadt, founded the Pass Project during his deployment in Southwest Asia. The Pass Project's main goal was to use the game of soccer as a vehicle for change in that local community, and Curtis was a beacon of positive change for them over the course of his deployment. 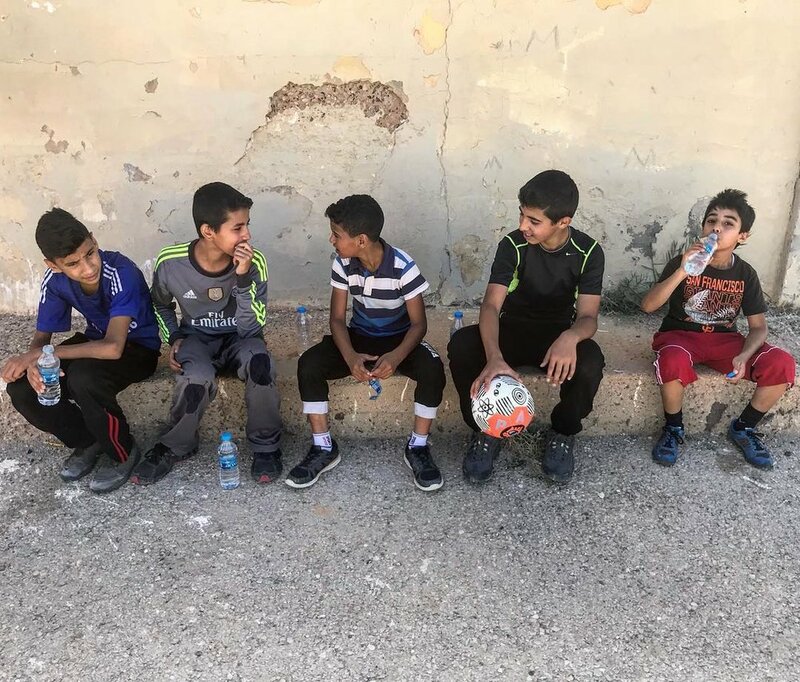 Their first venture aimed to improve quality of life and facilitate the game of soccer for underprivileged youth and displaced refugees in Curtis’ region. Through fundraising and donations, they were able to donate over 600 soccer balls, soccer equipment, and 2000 personal hygiene items for the community. They even renovated a futsal court! You may remember our fundraiser in May to benefit The Pass Project, which raised over $700! Now that Curtis is back in Cincinnati, his focus shifts to a cause closer to home. Curtis’ aunt was recently diagnosed with ALS, and his great aunt passed away from the disease in the late 90's. ALS is a progressive neurodegenerative disease that affects nerve cells in the brain and spinal cord, and patients in later stages of the disease may become totally paralyzed. The estimated out-of-pocket cost for caring for a person with ALS is around $250,000. The next chapter for The Pass Project now is to raise awareness of ALS, contribute to ALS research, and be a part of the ALS Walk in Cincinnati on September 16. With that initiative in mind, The Pass Project is launching “The Community Kit”, and we will be helping the project by featuring the kits through the DI online store. The kit's design draws inspiration from the city’s flag as well as the city’s heritage, and will be launching with the intent to give back to the community. Stripes from Cincinnati’s city flag are featured boldly, and the Bavarian lozenge pattern we've come to associate with many things soccer in this city act as a secondary element. 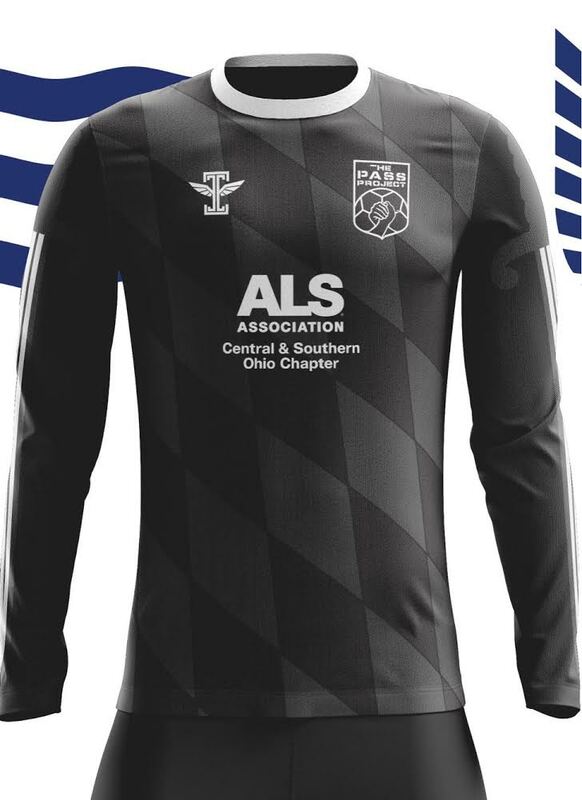 The ALS Association of Southern and Central Ohio Chapter logo is featured on the front of both kits, along with The Pass Project logo and motto. On the back the number 18 represents the year The Pass Project was founded, and the Die Innenstadt logo even makes an appearance under the number to show our partnership. The kits will run $35.00 each and will be available in limited quantities. 100% of proceeds will be donated to the ALS Association of Southern and Central Ohio Chapter. This will help the association defeat ALS through education, support groups, and access to compassionate care and advocacy, among many other services. You can donate by purchasing a kit through our website at https://squareup.com/store/die-innenstadt/. A note about sizing and fit from the manufacturer states "Our sizes follow the European model and thus have a tight fit. We highly recommend "sizing up", so if you are usually a Large you will want to order an Extra Large and so on." Die Innenstadt is proud to work with The Pass Project again, this time to help in the fight against ALS.